Safer Internet Day – Together for a better Internet – Tuesday 12th February. To promote a safer internet all classes will be taking part in various activities relating to how we are able to use the internet safely. 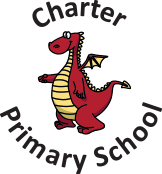 To support this parents are invited from 2.30pm – 3.15pm for an online safety workshop so that you can help your child(and yourself) be safe when using the internet.